Voice Call Sign "Budgie 3"
Laid down, 10 April 1944, as a Maritime Commission type (EC2-S-C1) hull, under Maritime Commission contract (MC hull 2634) at Bethlehem Fairfield Shipyard, Inc., Baltimore, MD. Acquired by the Navy from the Maritime Commission and converted to Internal Combustion Engine Repair Ship (ARG-9) at Maryland Drydock Co, Baltimore, MD. Decommissioned, 30 October 1947, at Norfolk, VA. Custody assumed by the Maritime Administration, 24 October 1961, for lay up in the National Defense Reserve Fleet, James River, Lee Hall, VA. Final Disposition, reefed off Virginia's Eastern shore at Parramore Reef, Wachapreague Island, VA., 20 August 1975, 37° 32.6 N 75° 26.3 W.
135k USS Mona Island (ARG-9) at anchor at Kerama Retto, circa 10 February to 7 July 1945 while repairing landing craft and ships damaged on the invasion beaches of Okinawa. 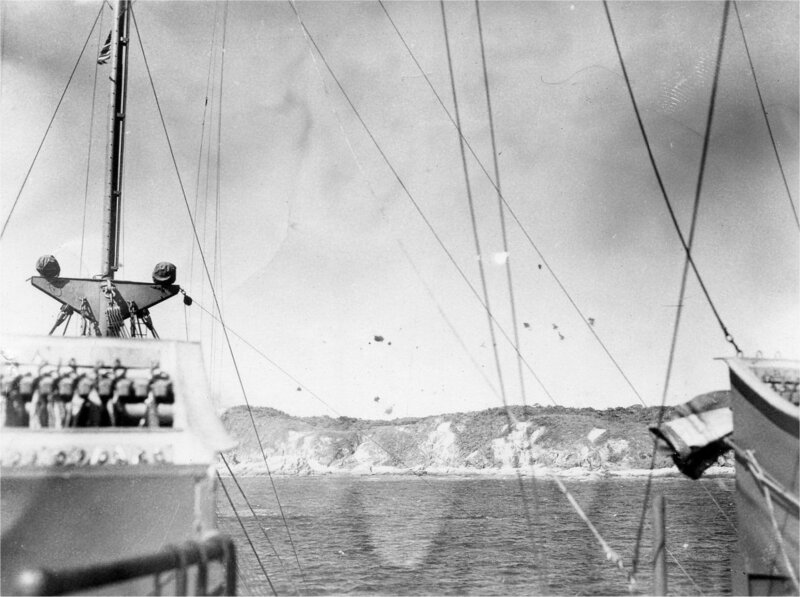 Henry Carr for David Sweeten USS Mona Island, donation of David Sweeten Family. 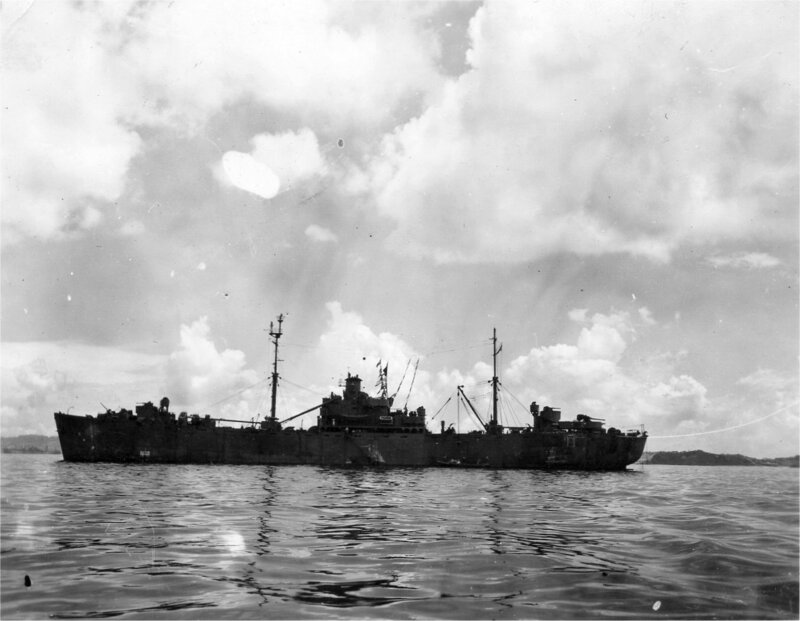 191k USS Mona Island (ARG-9) at anchor at either Kerama Retto or Buckner Bay, circa 10 February to 8 October 1945 while repairing landing craft and ships damaged during the invasion of Okinawa. 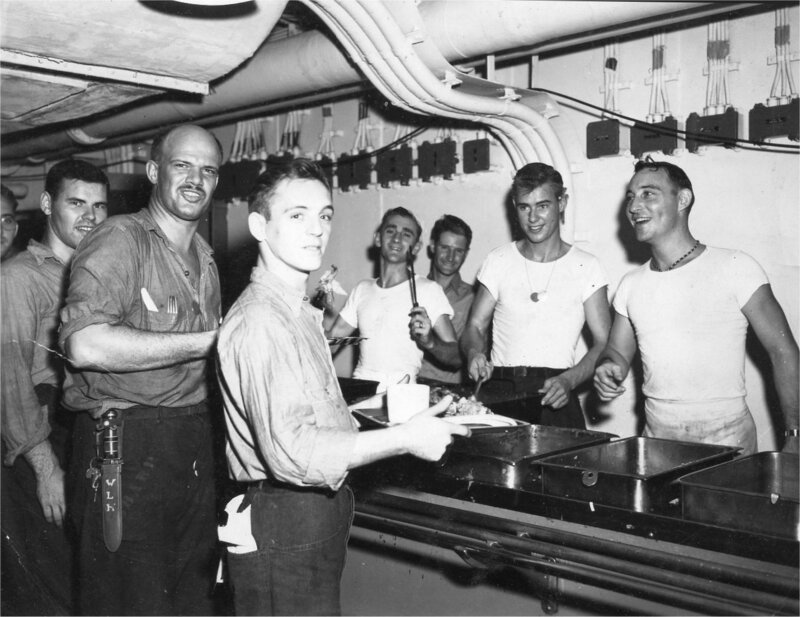 Henry Carr for David Sweeten USS Mona Island, donation of David Sweeten Family. 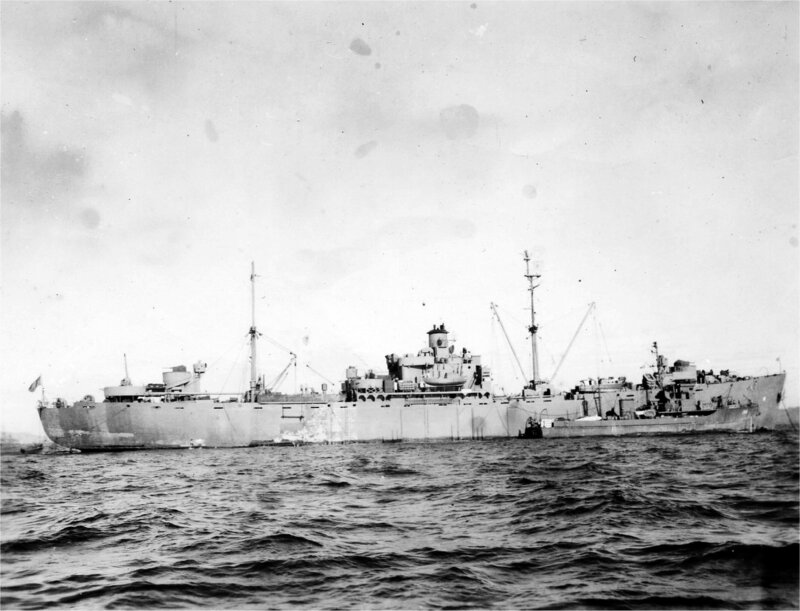 191k USS Mona Island (ARG-9) at anchor at either Kerama Retto or Buckner Bay, circa 10 February to October 1945 with a Submarine Chaser alongside. 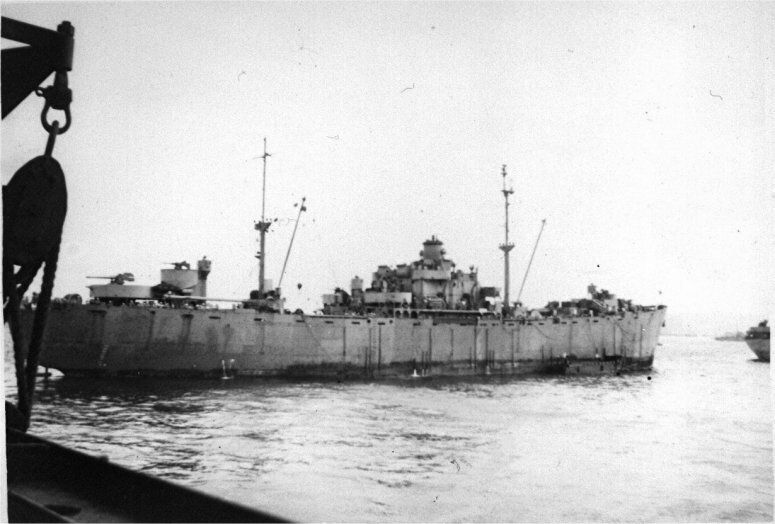 Henry Carr for David Sweeten USS Mona Island, donation of David Sweeten Family. 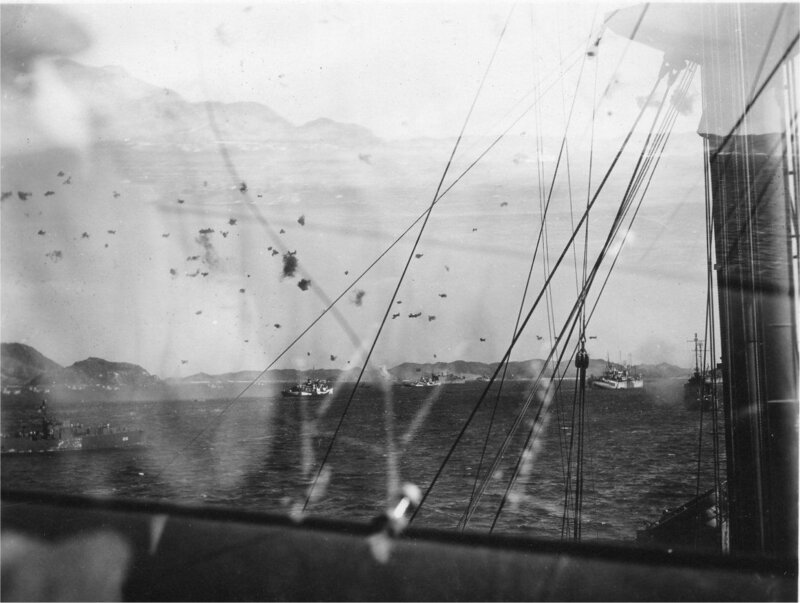 227k USS Mona Island (ARG-9) during an air attack at either Kerama Retto or Buckner Bay, circa February to June 1945. 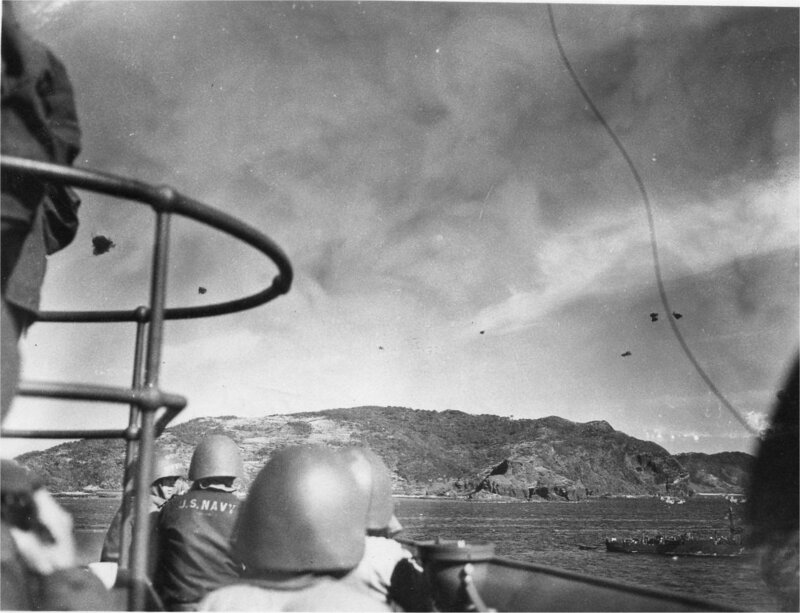 Photos by David Sweeten USS Mona Island, contributed by Henry Carr, donation of David Sweeten Family. 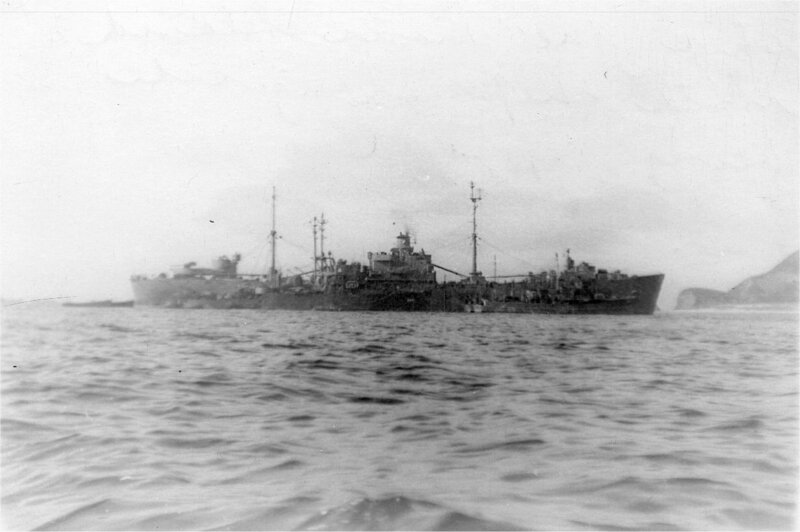 66k USS Mona Island (ARG-9) at anchor, probably at Buckner Bay, Okinawa after being damaged by Typhoon Louise, 1945. Photo by Fred Conner MoMM/2 USS Hooper Island, Contributed by Lannis E. Huckabee COL. USA Ret. 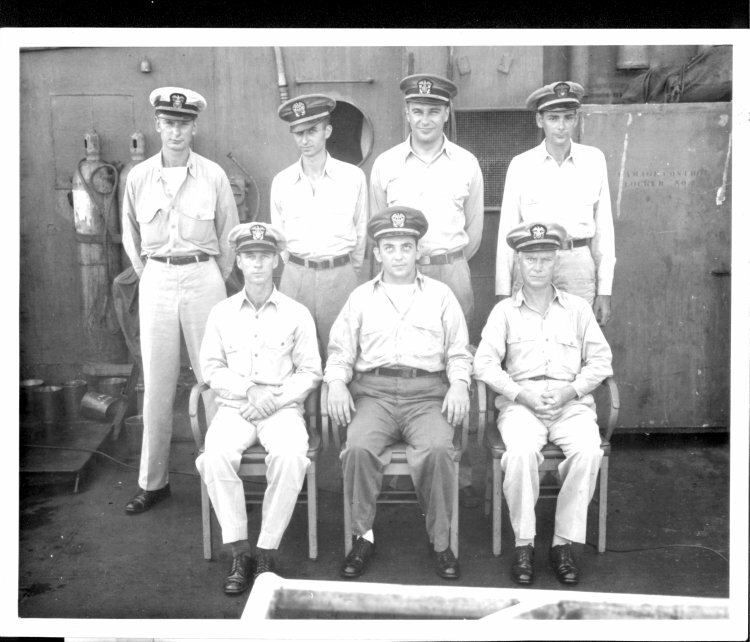 Navigator & Senior Watch Officer, later Executive Officer, LT. Payne; Communications Officer; Medical Officer, Dr. Orenberger; Supply Officer, LT. Niece. CDR John B. Payne, USNR, Ret. 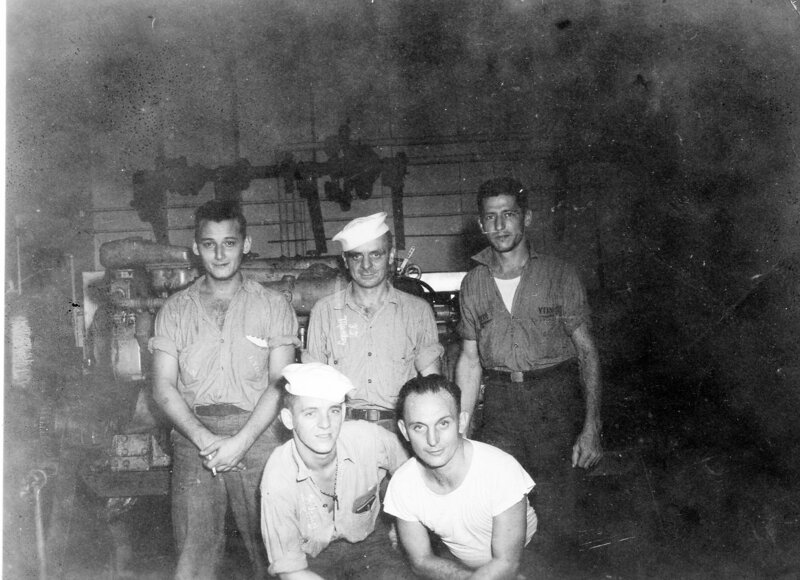 195k USS Mona Island (ARG-9) crew photos. 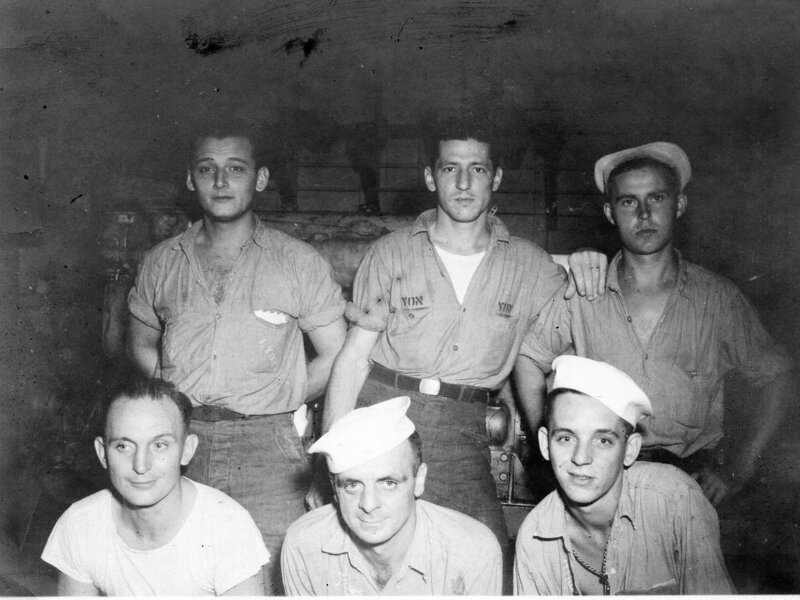 Photos by David Sweeten USS Mona Island, contributed by Henry Carr, donation of David Sweeten Family. 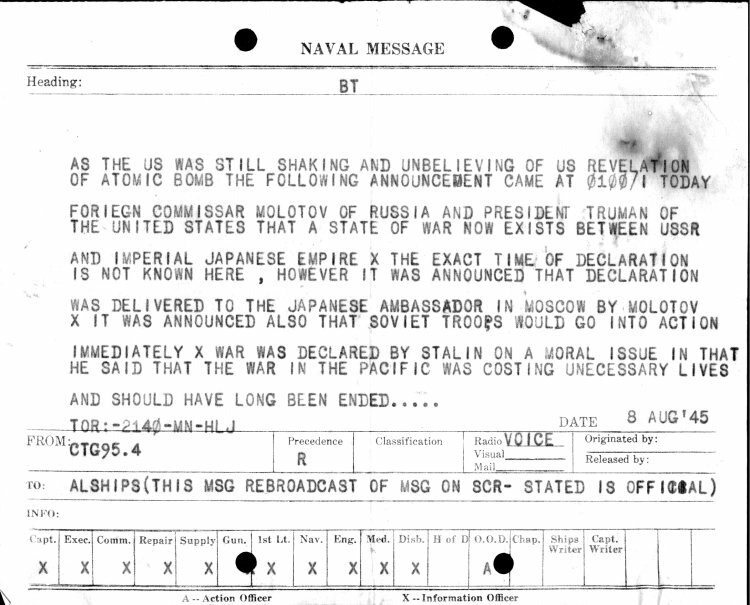 96k ALSHIPS msg announcing the entry of the Soviet Union into the War against Japan. 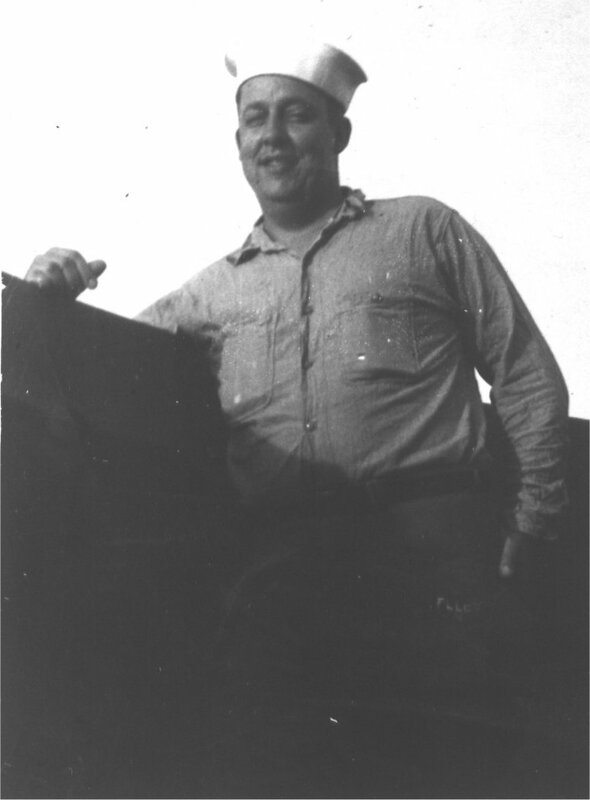 CDR John B. Payne, USNR, Ret.